Just as there is an Anti-Christ there also is an Anti-Kingdom. There have been many attempts throughout the Bible. As Genesis begins to unfold the all-consuming purpose of God in creation to establish a Kingdom in the earth in which He could display His glory in the person of His Son and this display of His glory was to be made to creatures made in His image and therefore capable of appreciating, applauding, and apprehending His glory, the Bible unfolds the drama depicting the movement of God in the accomplishment of that purpose. This kingdom is spiritual, ethical, social, economic, physical, political, and ecclesiastical. Satan’s kingdom alters each of these characteristics in his. He begins to attempt to block God’s movements in the garden with the temptation of the first couple. It is no wonder that Satan there begins his drama to fulfill the same purpose to accomplish that goal for himself. God’s capital city is Jerusalem while Satan’s capital is Babylon. Its origin was Babel. Its building was to reach heaven where Satan uses a man named Nimrod, mighty in wickedness to begin this Kingdom in Gen. 10:10. The culmination is unfolded in Rev. 17:17; 18:20-21. The final religion and world wide church in the end comes to an end that had precedent in the Bible. Look at what was known to happen eventually to the false church that willingly follows the leadership of the greatest liar with his lies. NOTE: Church in the NT is the Greek word "ekklesis" meaning a "called out" gathering and is used in three ways. Most associate with the Christian usage. But it is also used as the Jewish assembly of the OT as in Acts 7:38. And also as we see it in action more today as a riotous unlawful mob in Acts 19:32, 39-41. And when used for religious ends it is titled a whore by God. upon the beast--But A, B, Vulgate, and Syriac read, "and the beast." shall make her desolate--having first dismounted her from her seat on the beast (Rev. 17:3). naked--stripped of all her gaud (Rev. 17:4). As Jerusalem used the world power to crucify her Savior, and then was destroyed by that very power, Rome; so the Church, now false, having apostatized to the world, looking for strength, forsaking the Bible and its truth as taught by Christ (John 13:13), having its own ethics and principles, shall have judgment executed on her first by the world power, the beast and his allies; and these afterwards shall have judgment executed on them by Christ Himself in person. And Israel leaning on Egypt, a broken reed, is pierced by it; and then Egypt itself is punished. So Israel's whoredom with Assyria and Babylon was punished by the Assyrian and Babylonian captivities. So the false Church when it goes a-whoring after the word as if it were the reality, instead of witnessing against its apostasy from God, is false to its profession. Being no longer a reality itself, but a sham, the false Church is rightly judged by that world which for a time had used the true Church to further its own ends, while all the while "hating" Christ's unworldly religion, but which now no longer wants the false Church's aid. eat her flesh--Greek plural, "masses of flesh," that is, "carnal possessions"; implying the fulness of carnality into which the supposed Church is sunk. The judgment on the harlot is again and again described (Rev. 18:1; 19:5); first by an "angel having great power" (Rev. 18:1), then by "another voice from heaven" (Rev. 18:4-20), then by "a mighty angel" (Rev. 18:21-24). Compare Ezek. 16:37-44, originally said of Israel, but further applicable to the false N.T. Church when fallen into spiritual fornication. On the phrase, "eat . . . flesh" for prey upon one's property, and injure the character and person, compare Psa. 14:4; 27:2; Jer 10:25; Mic 3:3. "Her flesh" seems to point to her temporal dignities and resources, as distinguished from "herself" (Greek). How striking a retribution, that your headship brings your eventual reward and in this case as always pre-judgment prior to the King's final judgment. burn . . . with fire--the legal punishment of an abominable fornication. 2 Pet. 3:5-7 "For this they willingly are ignorant of, that by the word of God the heavens were of old, and the earth standing out of the water and in the water: Whereby the world that then was, being overflowed with water, perished: But the heavens and the earth, which are now, by the same word are kept in store, reserved unto fire against the day of judgment and perdition of ungodly men." "If Mary had had an abortion, we wouldn't be in this mess." Absolute no fear of an Almighty Creator who demean His supernatural birth. There is no god so why fear him. Therefore as Rev. 17:14 declares they “make war with the Lamb.” Atheism is the one-world religion of the end. It parades with many monikers and has services inside and outside of buildings. Their head is the liar from the beginning and many buy his lies and many repeating one of his biggest lies, there is no God. To prove the fact that there is a God is trivial in comparison to the task of the atheist who attempts to be dogmatic on his or her belief that there is no God. So therefore there is probably no one who is an "absolute" atheist. Such people who approach that point are like small boys who whistle in the dark, not having reached maturity in their belief. Such an one as an atheist is dogmatic, arrogant, proud, for it is impossible to prove this even if it were true. He or she would have to search everything. They would have to explain what men mean when they say, "I have found God". It is like a blind man asserting positively that there is no sun, or a deaf man contending there is no sound because he has never heard it. The incapacity for men to hear or see God explains their atheistic creeds but is worthless as far as justification for the thinking there is no god. They are without excuse as God says. That is the reason the Bible says, "The fool hath said in his heart there is no God." And many display that trait on TV's today with their mass gatherings making displays of absolute and undeniably actions of a fool. This is a worldwide phenomenon. God calls them a whore and says they perform God’s will by giving their worship eventually to what God calls a beast in Rev. 17:17. “For God hath put in their hearts to fulfil his will, and to agree, and give their kingdom unto the beast, until the words of God shall be fulfilled.” And at that point and for that worship satan no longer has need of the whores worship rewards her by treating her as a whore making her desolate, naked, and burns her with fire. Some unknowingly serve the fallen angel that desires their worship and finally achieves that end in Rev. 17:13. “These have one mind, and shall give their power and strength unto the beast.” This is a global mentality (one mind) and with all their might and activity do works to please him whether knowingly or unknowingly. We have been witnessing their deeds in many nations of the world where they riot, burn, pilfer businesses, war against the police. In Acts 19:32 we find a gathering where some - cried one thing, and some another - This is an admirable description of a tumultuous mob, gathered together without law or reason; getting their passions inflamed, and looking for an opportunity to commit outrages, without why or wherefore - principle or object. For the assembly was confused - Ηεκκλησια ; The same word which we translate church; and thus we find that it signifies any assembly, good or bad, lawful, or unlawful; and that only the circumstances of the case can determine the precise nature of the assembly to which this word is applied. Evil is finally coming to its perfection. Christ's second coming awaits the perfecting of both good and bad. Satan knows that a kingdom divided against itself will not stand. Babel curse seems to be overcome by Satan but it was God Who instilled the curse that came to full force in Matt. 24:7. Wars today are numerous because of this fact of nation against nation, but notice in Matt. 24:7 there is a 2nd cause for war. These wars are caused by attempting to apply their religion in the conduct of men and nations which are not submitted to their God. Therefore Christ identified them as "Kingdom against Kingdom." For men who are genuinely Christian are profound in their loyalties. But the people who are utterly evil are even more so. You should notice that the end of wars comes about in Matt. 24:14. The concluding paragraph of the book is a summary of the argument of the entire letter (2 Pet. 3:14-18). Faith in the Scrip­tures is fundamental to a fruitful life, and failure to follow is finally fatal (2 Pet. 3:14-16). Those who wrest the Scriptures from their true meaning manifest that they are unlearned and un­stable, and they do so to their own destruction. Fruit in the life is the unfailing evidence that there is faith (vv. 17-18). It is, therefore, right and proper to beware of being led away with the error of the wicked lest one fall from his own stead­fastness. This now brings Peter to the place from which he started. "But grow in the grace and knowledge of our Lord and Savior Jesus Christ." This will give every believer confi­dence, and he will not be ashamed before Him at His coming (1 John 2:28). Righteousness in vs. 13 is the concluding note. The posi­tive is held out by Peter as the most powerful incentive of all for living a holy life. There are new heavens and a new earth in the future. After the judgment of wickedness and the wicked there are the new heavens and the new earth wherein dwelleth righteousness, and he might have added, the righteous. This bright prospect is so appealing that the true saint of God is encouraged to endure a little more and to sacrifice a little more that he might be joined with that happy throng in the presence of the Lord forevermore. Conversation in vs. 11 is the next key expression. This word does not signify talk but manner of life. It lays em­phasis on what one is and does. In the light of the coming inferno of the world, how important it is to consider what the issues may be. Wrath will fall upon the wicked. The time may be nearer than one thinks; therefore, the only sensible conclusion demands a turning to the Lord for His salvation and a turning away from wickedness in life to holiness and godliness of conduct. This may not be the highest motive for a good life, but it is, nevertheless, a real motive. Longsuffering in vs. 9 is the first expression unraveling the argument. This word means long control of the impulse to destroy wicked men. This does not mean that the Lord is overlooking sin. It means that besides His plan to judge the wicked, He is also working out a plan to save men. The two must be coordinated. In order to do this, He must long with­hold His burning wrath against the wicked. This long delay in the judgment upon the wicked is not in any sense to be regarded as slackness or failure to keep His promises. Quite to the contrary, it should be regarded as effort on the part of the Lord to provide for the indecision and hesitation of men to turn to the Lord (cf. 2 Pet. 3:15). Jesus came to die that others might gain. He PURSUED death knowingly the whole three years of His ministry on earth. We all are also on a death march whether we sense it or not. And those who wanted Him here forever knew what would be the outcome of that trip. Some reach that destination before they anticipate. Some hurry the end result by their lifestyle. And they desire others to live by the same beliefs as they, which gives them a small sense of security in a dying world where they live. They as the latest generation have a mindset that gets a sense of purpose through their development of morals, ethics, and principals that all around them agree upon. They have abandoned the mindset of their parents’ generation, using the Bible as their moral compass, and have been taught that all around the globe believe as they. And then this Trump character comes into the picture ready to abandon the international global mindset and speak of America first, a national mindset and even make it better than it ever had been. That goes into direct opposition to all their teaching. America has been the bad guy internationally and Obama gave evidence in all his international dealings that he believed that to be true as well. But now all of a sudden they have lost that direction and Trump was promising more of what they had been taught through out their schooling that America had dues to pay yet. So the riots begin, the looting, the burning, the thefts, while the police need to be attacked, not obeyed. This one world global ethic, one world global political mentality that the last two generations has been taught is now in place. And when someone speaks of nationalism rather than an international global position they lose all their hope of continuing to move in the direction of solidarity with the world and its thinking. So they race to the destination that Christ warned would be the movement in the end. A new morality, a new set of rules to live by, a new set of principles to follow after. Boys can decide to be girls and girls boys. A man can decide that he feels that he is a woman and get an operation to complete his journey. A woman has control over her body and abortion is a common exercise of that right. And then the government joins in this mindset making it politically correct to think these thoughts. The human journey to death that THEY PURSUE unknowingly, thinking they have life at the highest level is the foundational belief in the end. And many in the church, even raised in the church have this international (One World) global mindset. Satan has the stage set, or rather God does. Satan is a willing participant whether he wants or not. They deny that Christ pursued death KNOWINGLY that they might have life on the highest level. And He does not riot, steal, loot, and burn because they fail to believe that His death was for the purpose of their gaining life on the highest level. God has a small remnant that still believe that to be true, therefore just as He said, as in the days of Noah when 8 got on the boat, the world is about to discover judgment by fire. (2 Pet. 3:7) For in Noah's day all the rest were partying with their own morality, ethics and principles giving them life on the highest level. But the water went higher. Fruit in the lives of the saints is the final precept Peter leaves with his readers (2 Pet. 3:8-13). In developing his argument, he offers explanation for the apparent delay in the coming of the Lord (vv. 8-10), gives exhortation to holy living (vv. 11-12), and concludes with the expectation of the saints (vs. 13). Reserved in vs. 7 is the key to this portion. This word reaches back into the plans of God and unlocks His dealings with the world in the past and the purpose He expects to carry out in the future. As one looks into the past, he is im­mediately made aware that the world has deliberately closed its eyes to the record of God's Word. For there was judgment by water in the past, and, therefore, things do not continue as they were from creation. As one looks into the future, he sees that God has planned the destruction of the world by fire. All this may be observed by reading the prophets and remembering the word of the Lord. Let no one mistake the meaning of the word "reserved." Knowing this in vs. 3 is the next expression to note. This introduces the reasoning of the world, which has forever led the way to complacency and final doom. When the apostle uses the expression "knowing this," it is then time to listen atten­tively. He is about to present the important. Here he warns believers of the deliberately deceiving dialectic that deter­mines the doom of the disobedient. Very simply it is this: Since the fathers fell asleep, all things continue as they were from the beginning of creation. In this sort of logic, it is as­sumed that since there was no judgment in the past, there will be none in the future. Remembrance in vs. 1 is the first. This marks the need for activity of the mind. This epistle of Peter does not mark his first but his final attempt to stir up with letters the minds of these brethren. As in his first epistle, so also now in this second and final epistle, he is calling to their minds not merely what he wrote in his former epistle, but what they knew previously through the writings of the prophets and through the commandment of the Lord, heralded by the apostles. This message is the gospel message with its commencement, its continuation, and its consummation. Faith in the words of the apostles appears in the opening portion of 2 Pet. 3 (1-7). The development of this passage begins with the exhortation to remember those words (vv. 1-2), proceeds to an explanation of the world's reasoning (vv. 3-4), and concludes with the expectation of future judgment (vv. 5-7). Again there are key words. "This is now, beloved, the second letter I am writing to you in which I am stirring up your sincere mind by way of reminder, 2 that you should remember the words spoken beforehand by the holy prophets and the commandment of the Lord and Savior spoken by your apostles. Peter is now moving into the final phase of his effort for his brethren in the faith. This third and last division of the book covers the 1st 13 vss of ch. 3. Herein Peter makes application of the things he has presented as principles in the first division of his letter and has predicted as perils in the second division. Very simply these precepts deal with faith and fruit. On the one hand, there must be faith in the words of the apostles. That is basic. On the other hand, there must be the fruit of holiness in conduct. Though second in order, it is absolutely necessary. In this order these precepts will be treated. Dog and sow are the terms unloosing the meaning of vss. 20, 21, and 22. These words, appearing in vs. 22, both lay emphasis on character, and their usage in the Scrip­ture denotes sinful character. Out of character comes con­duct, and very shortly this same character invents a creed to rationalize its conduct. Character may take on outward de­meanor that deceives, but not for long. For character must finally revert to type. If it is dog-character, there is bound to be the vomit; if it is sow-character, there will inevitably be the wallowing in the mire, no matter how much the exterior has been bathed and luxuriously clothed. Way in vs. 15 is the key opening up to the reader the creed of these false teachers. The word "way" marks a course that is charted and bounded upon both sides by definite lines. There is the way that leads to life, and there is the way that leads to destruction. In this passage the two are referred to as "the right way" and "the way of Balaam." The way of Balaam was a system of thought explaining the rightness of that false prophet's conduct. This way made his conduct reasonable in his own eyes and relieved the pressure of his conscience. Those who follow this way are wells without water for those who wander in the desert; the creed is composed of a web of words which are little more than verbal nothings. Walk in vs. 10 is the first key expression and clearly de­notes the conduct of an individual. It means literally to walk around and includes the daily routine with all the activities and events that compose it, including a destination. Since this is a walk according to the flesh, that is, the sinful nature dominating it at every point, it is not surprising to read the commentary of the fol­lowing vss. Being dominated by the flesh, these teachers pursue a course of lustfulness, despicableness, presumption, willfulness, blasphemy, brutishness, riotousness, deceptive­ness, covetousness, and cursedness. Fleshly living is the final subject in this second division (2 Pet. 2:10-22), and the key to this portion is the word "flesh" in vs. 10. This word does not refer to the soft parts of the body. It is an ethical term denoting the sinful nature. The progress of the argument makes it clear that it includes the conduct of the false teachers (vv. 10-14), the creed of the false teachers (vv. 15-19), and the character of the false teachers (vv. 20-22). A key expression in each one of these smaller divisions is used. Damnation in vs. 3 is the third word opening up the message of Peter. This carries all the dreadfulness of retribu­tion that can be read into the word. It refers to the sentence of judgment already determined and progressively drawing nearer this class of criminals. It is a terrible thing to reject the Christ and suffer eternal damnation; it is infinitely more ter­rible to be one who deliberately and decisively destroys and defrauds the masses of their inheritance of heaven, home, and eternal blessedness. Theirs will be the greater condemnation. There is no possibility of escaping a greater degree of punishment which is deserved and reserved for them. God did not spare the angels which sinned, nor did He spare Sodom and Gomorrah, and He will not spare those wizened brains and twisted hearts which deliberately plan the eternal damnation of multitudes. "Follow" in vs. 2 is the next touchstone of this passage. This word means more than at first is implied. The sense is that of following out to the ultimate conclusion. It is clear that many are deceived into following the false message to its bitter end. If that were as far as the influence would reach, it might not be so overwhelming, although even that is tremen­dous. However, once the process is begun it moves, gaining momentum as it goes. Hence, the way of truth is destroyed and blasphemed, and many within the folds of the professing church are defrauded of their precious heritage of faith by plastic words of these subtle seducers. Denying in vs. 1 is the first key unlocking the thought of this passage. By its appearance in the verse the extreme to which false teachers will go is marked. The divine message so infallibly recorded in the book of God stands unshaken through the years, and the maneuverings of false teachers will not so much as phase it. Yet, if they are allowed to serve as the channels of the message to the people, while conveying that message, they can cleverly corrupt it. It will then appear to the people lo say what it does not say and a denial of the truth has been accomplished. This is a stroke of strategy on the part of Satan that is carried to dangerous extremes and is matched only by the method employed to realize the end. 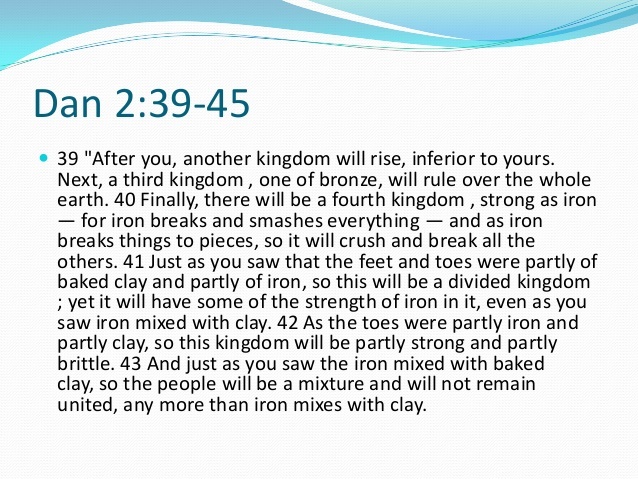 False teaching is the first subject in this second division (2:1-9). The key to this portion is the expression "false teachers" appearing in vs. 1. With this as a departure he de­velops the thought by pointing to the denials made by the false teachers (vs. 1), the dangers thus menacing the church (vv. 2-3), and the damnation merited by these teachers (vv. 3-9). Several key words in this portion quickly expose the trend of thought. While growing in grace is accomplished through the medi­um of positive knowledge of the Lord, imparted to the be­liever, it is evident that a certain protection is exercised over the believer by warning him of the perils which beset the way. At this point in the epistle Peter may properly intro­duce the most insidious peril that has ever beset the people of God. He has just pointed out the fact that the more sure word of prophecy passed on to the people of God by the prophets of God was not an invention of the prophets but an impartation from God. It originated in His will, and holy men of God spoke as they were borne along by the Holy Spirit. Therein lies its power. It was the word of God spoken to the people of God pointing out the plan and purpose of God. Be­cause of this, the great adversary of the people of God read in this his own dimensions and doom, and unless the word of God could be corrupted and the people of God could be confused, Satan's nefarious schemes would come to nothing. Therefore, he corrupted the message by raising up false prophets among the people. However, Peter intimates that the days of prophets are about over, and the canon of Scripture is about to be com­pleted. Because of this, the same Scripture given by prophets will be taught to the people by teachers, and Satan's next move will be to raise up false teachers among the people of God and lead them astray. Hitherto, the great danger of the church has been trial and persecution from without. In his first epistle Peter wrote to warn the people of these dangers and to offer them encour­agement. Now he writes to warn them of a more insidious evil working from within. This is the same leaven that has permeated the entire church across the ages and threatens to­day to sweep away all that remains. These false teachers and their fleshly living are treated in the 2nd chapter. More sure word in vs. 19 is the final key to this section. 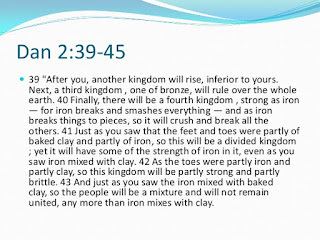 Herein, Peter strikes at the very heart of the whole matter so far as believers are concerned who have not had opportunity to be firsthand observers and participants in the great rock foundation truths whereon their feet were placed in sovereign grace. Believers may be evangelized, pastoralized, and stabil­ized. Yet the firmness with which believers stand and the fruitfulness they display will depend absolutely upon the re­liableness of the word of prophecy to which they give heed. For the assurance of the believers, this word of prophecy was not only guaranteed as the direct revelation of God, but it has also been made surer by the credible experiences of Peter and his companions. Not . . . fables in vs. 16 are the second key phrase for scrutiny. While Peter may detect a slight reluctance on the part of his audience to receive these truths as realities of the faith, he hastens to assure them that so far as he and his fel­low apostles are concerned, they had not followed cunningly devised fables. To the contrary, they were eyewitnesses to His majesty and ear witnesses of the message from heaven. It may be possible for one to be deceived. However, when there is more than one and all testify to the same experience, then the message moves into the realm of reality. Present truth in vs. 12 fittingly serves as the first key expression. These things of which he has been speaking are not new teachings, nor false teachings, nor teachings of his own invention. They are teachings which constitute the great body of present truth, teachings of which they know and teachings of which they need to be reminded. These truths made up much of that body of truth with which they were evangelized, that body of truth with which they were pastoralized, and that body of truth with which they were cir­cularized in Peter's first epistle. Yet, with such frail memories, they need to be reminded again of these same truths.